I know, it’s June, and it’s the early stages of winter where we are still in denial that it’s getting cold. Well, yes, it is getting chilly, and about to become wild and woolly over the coming months, but I for one love photos at this time of year! The wind is crazy, the leaves are swirling all over the ground, the sky has huge pink/purple puffy clouds heavy with the rains, and the light is just absolutely beautiful. You could never ever look this good in a day time summer session! These huge clouds act like nature’s giant softbox and send the most beautiful diffuse light over everything. So, if you were thinking of a spring session, rethink! Winter sessions can be so much fun. Think carefully about your choice of clothing to ensure it’s not too drab, and consider mixing colours like orange, teal blue or fuscia with the usual dark winter colours for a striking contrast. 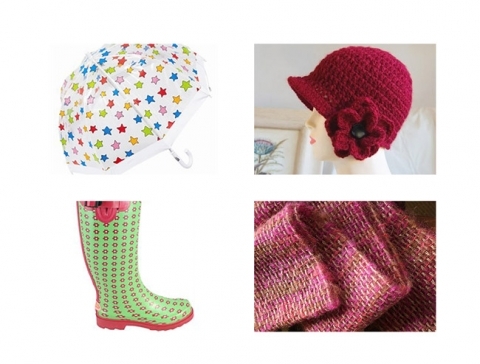 Add interest and a splash of colour with some fun props like umbrellas, gumboots and hats. Or just source a beautiful, classic cashmere scarf like the one below, and wrap it around for a touch of timeless elegance.